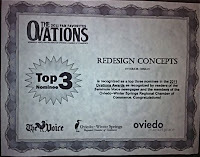 ReDesign Concepts Blog: ReDesign Concepts Receives 2011 Fan Favorites Ovations Award! 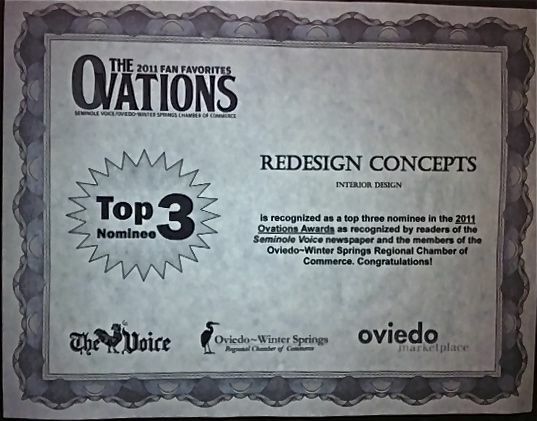 ReDesign Concepts Receives 2011 Fan Favorites Ovations Award! 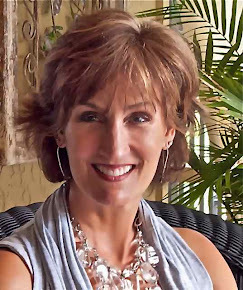 The Seminole Voice newspaper along with the Oviedo-Winter Springs Chamber of Commerce recently completed a community "best of poll" call The Ovations. Readers were encouraged to vote for their favorite company in more than 50 categories. ReDesign Concepts, LLC is proud to be in the Top Three Nominees in the 'design category'. 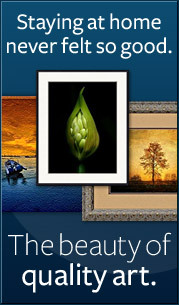 Congratulations to all the 2011 Fan Favorites who were voted into The Ovations directory. Being recognized and recommended by your peers is a very proud moment. Thank you to all who participated in the poll. Each company displayed in the publication deserves a standing Ovation!